Imagine having an office space that costs considerably less than the expected commercial real estate rent, comes with high-speed internet, and all other facilities including printer, tea and coffee (perhaps from a vending machine); there is even a meeting room. The only snag? You would have to share it with another firm/people. Welcome to the world of co-working. It is a prized catch for start-ups where they don’t have to worry about having a space of their own, paying rentals, and managing other infrastructural concerns. Those worries are outsourced, and the costs are drastically cut. In the last couple of years, India has witnessed a huge surge in demand for pre-managed and/or co-working office space. A research by property consultants JLL India predicts that by the end of this year, co-working space in India will grow by 50 percent. “Amongst multiple reasons behind the rise of this demand, a key factor is the seamless experience and the convenience, offered by office space providers. They provide a host of services like ready-to-use offices with modernised furniture, state-of-the-art technology, internet connection, tech support, and secondary services such as catering and security, all under one umbrella,” says Puneet Chandra, CEO and founder, Skootr. Not just India, co-working has taken various parts of the world by storm—all due to the flexibility and the ease of working it offers coupled with factors that impact specific operating paradigms. “In case of entrepreneurship, the cost advantages, the pay-as-you-go methodology and the absence of sunk cost for the occupant are all huge advantages that make co-working attractive. Throw in the community, the access to services, the reduction in hassles of maintenance and compliance, the impact of decentralisation on both cost and commute, it becomes almost a no-brainer,” quips Meenal Sinha, founder, Meetingsandoffices.com. Sinha’s firm offers a platform that aggregates shared and flexible workspaces across India. Setting up a fully functional, brick-and-mortar working area can be a huge drain on resources, and cause delays in vital rollouts—not just for start-ups and small businesses, but also for larger companies and multinational operations. 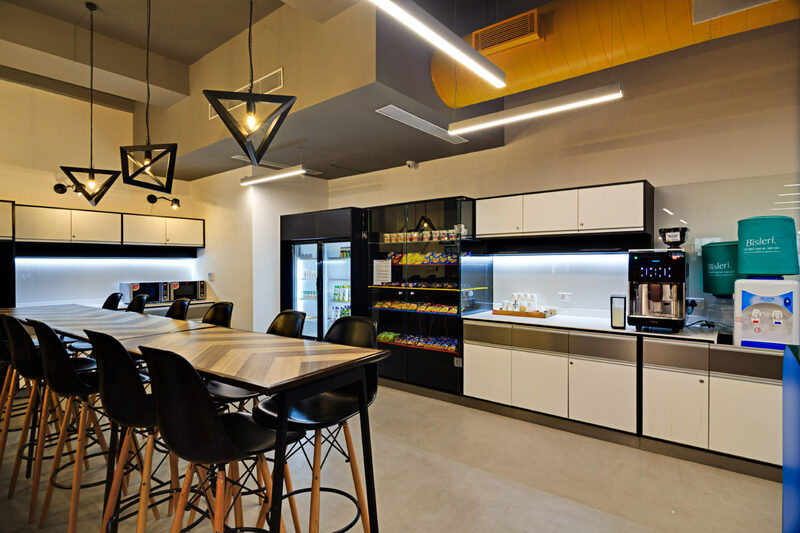 With the flexibility of ‘designed to taste’ co-working is cost optimised and scaling too—be it up or down—can be more straightforward. According to Sinha, when “expenses shift from CAPEX considerations to the OPEX side of the ledger”, decision-making becomes easier. “Larger operations benefit tremendously from decentralising their operations both in terms of cost and employee motivation,” she adds. In a developing country like India, where constant infrastructure development leads to bottlenecks—a roadwork will lead to traffic jam and inadvertent delays—having co-working space in a convenient location makes sense, especially for the employees. “I have started taking local trains to meet clients as the commute time through road has doubled because of the ongoing Mumbai metro work. Sometimes, a journey that should ideally take 45 minutes takes two hours one way. Add the one hour of client meeting, one client consumes up to five hours of a day,” says Mumbai-based Sangeeta Irani, PR Professional, about woes of commuting. Apart from being a time- and cost-consuming exercise, commuting takes its toll on the body as well. According to a study done by Dutch scientists, breathing street-level fumes for even half an hour can change activity in regions of the brain that are responsible for behaviour, personality and decision making: changes that are indicative of stress. When Mumbai potholes are added to the mix, it’s a bumpy ride all the way. Professionals have begun to counteract all this by sharing—from a car or a taxi, to working spaces now. Additionally, co-working spaces provide individuals, start-ups and SMEs to be a part ofa community. The co-working ecosystem is rapidly growing across Tier-1 and Tier-2 cities in India to become the go-to solution for on-demand meeting spaces. The sector is expected to receive over $400 to $500 million in terms of investment. It is, however, no longer limited to cubicles—but has expanded to hotels, restaurants, bars, coffee shops, and under-utilised office spaces. Real estate market is a complex category in India with low transparency in deal structures and general operations. The commercial real estate market still operates in an archaic fashion, with spaces offered by developers and conventional business centres requiring long-term commitment and upfront deposits. As a result, SMEs and start-ups were unable to find quality office spaces at key accessible locations and at cost-effective prices. “We have tried to provide a solution to this problem by providing transparent terms and deal structures to our user base, as well as our landowner partners. The business was set up with the goal of providing new age and technology-enabled workspaces that provide a superior alternative to owning conventional offices and effectively providing just-in-time workspace solutions,” says Amit Ramani, Founder & CEO, Awfis, an Indian co-working space provider. However, co-working comes with its own set of problems. It’s a new concept for the Indian market, so the challenge lies in educating the target audience why an on-demand meeting space is a good thing. “Having understood the benefits—reduced commute time, anytime-anywhere pop-up office concept—users are now keen to book and become promoters of the platform,” says Sameer Kaul, investor and strategic advisor, The Uncube. However, as with any emerging industry segment, co-working also suffered from the one-size-fits-all syndrome in the early years. Over the last couple of years, people have begun to see the importance of cultural connotations as well as the diversity of the potential market. “As models evolve, the greatest challenges will remain to stay relevant to the operating ecosystems. Another challenge would be to not just build connected communities but to keep them gainfully engaged over time and make business happen for all,” says Sinha.